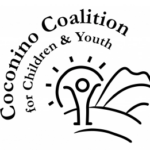 The Coconino Coalition for Children & Youth is collecting gift cards for our annual Homeless and Runaway Youth Drive. Join us for a donation drive for runaway and homeless youth October – November 2016! All donations will go directly to youth in need at Northland Family Help Center – Youth Shelter and the McKinney Vento Program.